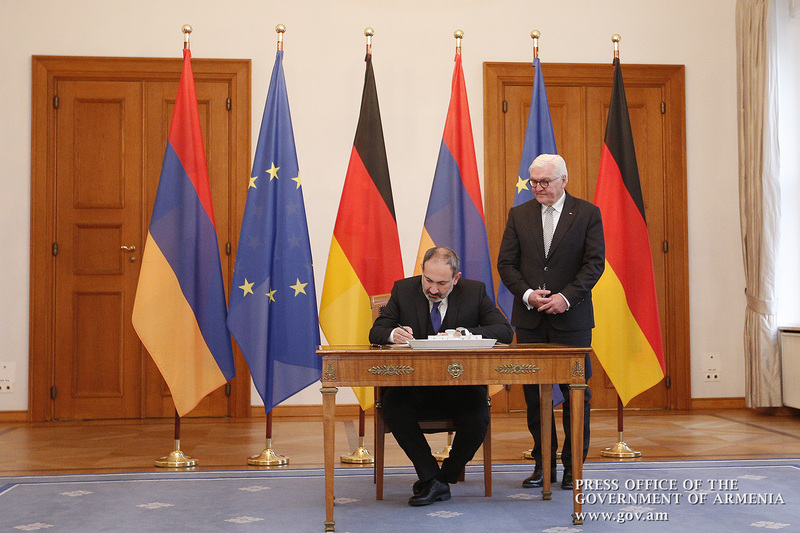 Prime Minister Nikol Pashinyan’s official visit to the Federal Republic of Germany continues. 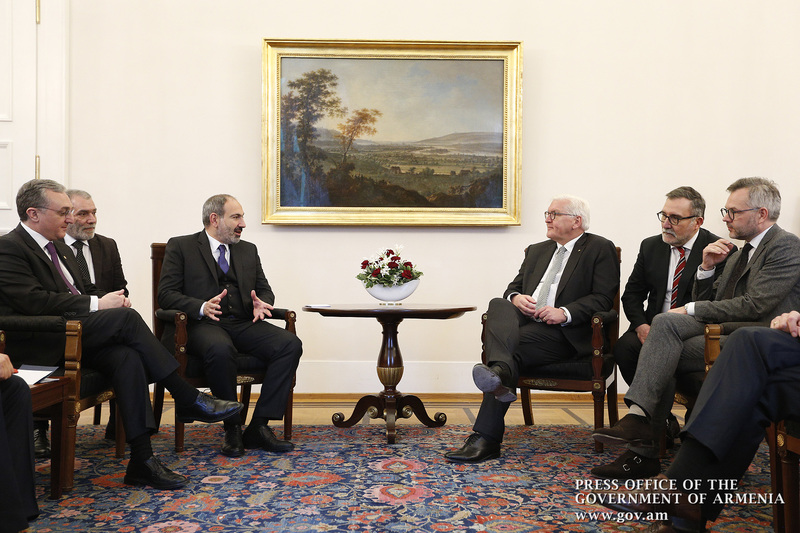 After meetings held with the Chancellor and the Bundestag President, Prime Minister Nikol Pashinyan was received by President Frank-Walter Steinmeier at Bellevue Palace, the German President’s Residence. 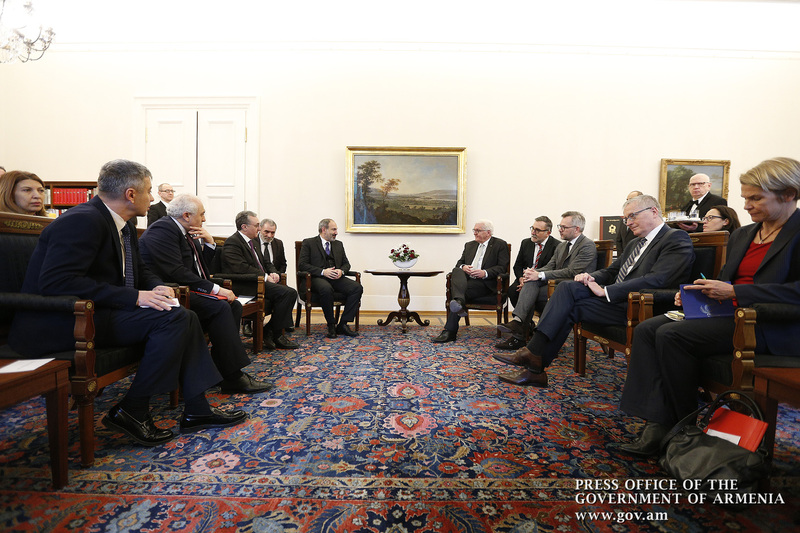 Stressing the importance of Nikol Pashinyan’s official visit to Germany, Frank-Walter Steinmeier noted that the visit was a good opportunity to discuss the prospects for deepening bilateral and multilateral cooperation. President Steinmeier underscored that a high-level political dialogue is entertained between the two countries, which needs to be further strengthened in order to expand the cooperation to other areas. 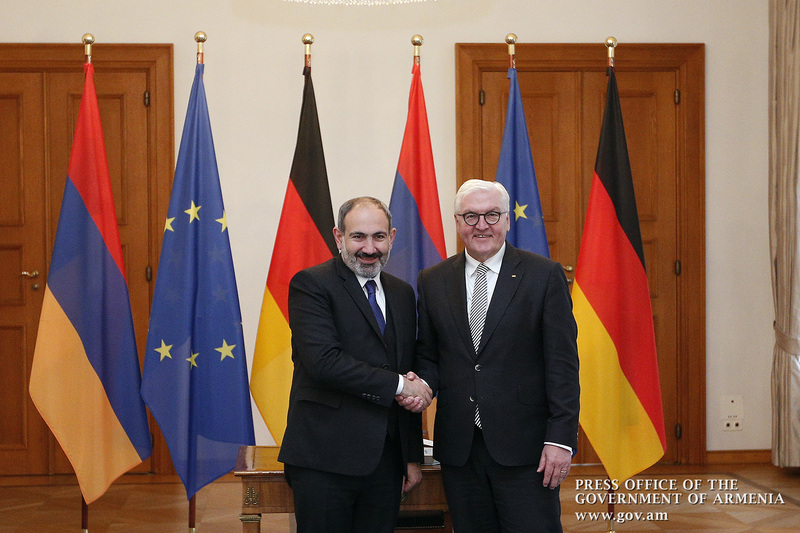 Thankful for a warm welcome, Prime Minister Pashinyan said Germany is an important partner for Armenia, and the Armenian government is ready to uphold the ongoing active interstate dialogue. 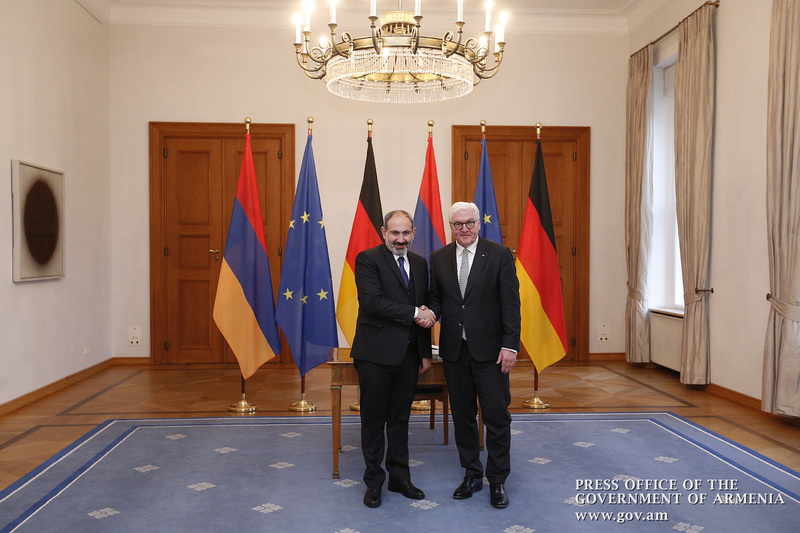 The interlocutors discussed ways of expanding the Armenian-German partnership, the EU-Armenia relations and the Comprehensive and Enhanced Partnership Agreement, as well as issues of regional and international relevance. In conclusion, Nikol Pashinyan signed the Book of Honorary Guests.